A power of attorney (POA) is a document that gives a person, typically called the agent, power to make decisions on behalf of the person creating the power. There are two types of powers of attorney: a regular power of attorney and a durable power of attorney. At the Law Office of Stephen Ross in Pottstown, Pennsylvania, our lawyers understand the importance of having a power of attorney designation as a part of your estate plan. A person granting the power of attorney should think out of the box when determining what types of powers they want to grant. This should include permission to take care of pets, safe deposit boxes, mail boxes, etc. What Is a Regular Power of Attorney? A regular power of attorney can be implemented that gives the power designated as the agent the power to make decision for the person creating the power of attorney. The decisions are usually financially related and involve either direct power to make cash decisions or the power to make a financial decision that is not cash related such as a house signing, car signing, etc. This type of power of attorney becomes ineffective if the person who grants the powers becomes unable to make decisions for themselves or the person dies (with limited exceptions). To grant this type of POA, a person must make a durable POA. A durable power of attorney remains in effect even if the person granting the power becomes mentally incapacitated. In this case, the person who becomes mentally incapacitated will usually grant the agent the power to make financial and medical decisions. The medical decisions granted may include limited medical procedures but should not grant the power to make life sustaining procedures. Those powers are strictly reserved by the person who makes a living will for themselves. The durable power of attorney ends when the person who grants the power dies (with limited exceptions). Our attorneys are ready to help you get positive results. 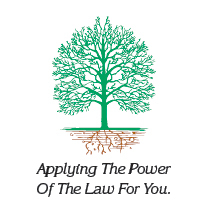 Contact us to discuss your case with our Pottstown power of attorney lawyers. We serve Montgomery County PA, Chester County, Berks County, Philadelphia County, Lancaster County and all surrounding counties in Pennsylvania.